Super busy with Christmas orders right now but wanted to pop in real quick for our thrifty link up. If you are waiting on an order it will be out soon. If you've placed an order thank you SO MUCH for your business! We are happy you selected us to be part of your gift giving this year! 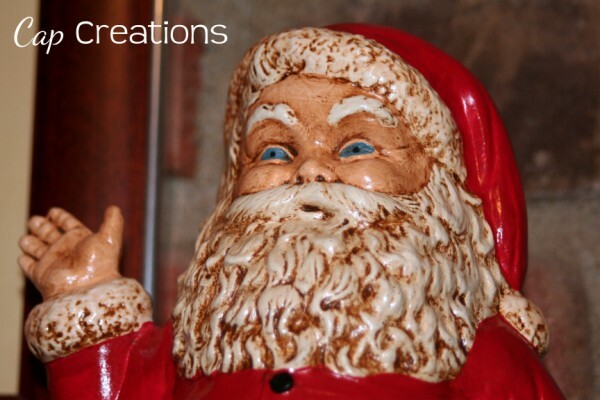 Here are a few more Christmas items that were picked up at the thrift store. These lovelies help decorate our home for Christmas! 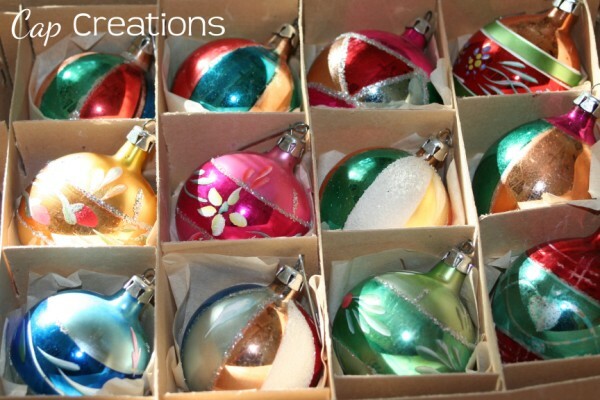 I so have a thing for vintage ornaments! They are all just so lovely. I see them and I can't resist them. There were finally enough to do our tree this year with them.﻿ Are they not lovely? 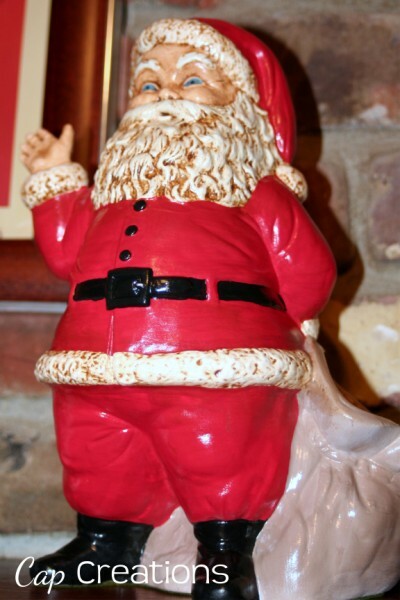 This vintage looking Santa is great because his toy sack in the back is the perfect spot for holding candy canes. Look at that vintage detail! Love it! How here's a bit of what you all linked up last week! Joyful Treasure Hunting picked up a pair of these chairs for 10 bucks! 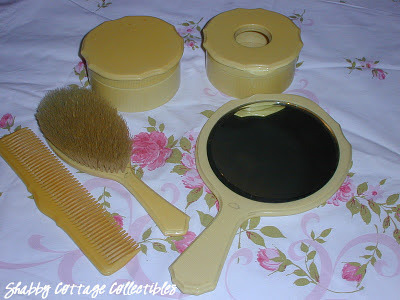 And check out what Shabby Cottage Collectibles found. Oh yes... this isn't Christmas related but I found a brand new set of Mr. Sketch Smelly Markers for $1.00!!! SCORE! Jill those markers last forever! I still have mine from when I was in grade school. Great deal! Thanks for visiting me at Beyond the Nook, and for letting me know about your weekly thrifty link-up. I've joined in! Oh how I love those vintage Christmas bulbs! Thank you so much for joining TTF and I hope you and your family have a very Merry Christmas!